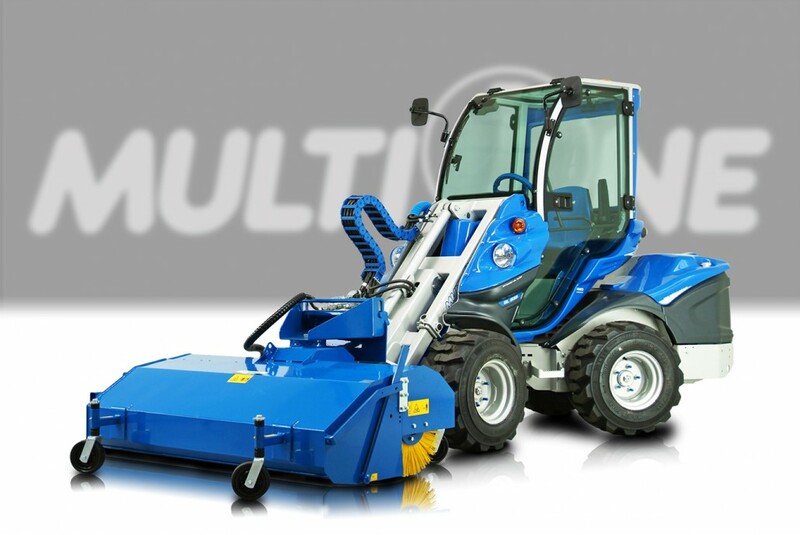 MultiOne’s sweeper attachment makes quick work out of dust and dirt that has collected on parking lots, loading docks, warehouse floors, and just about any other flat surface. 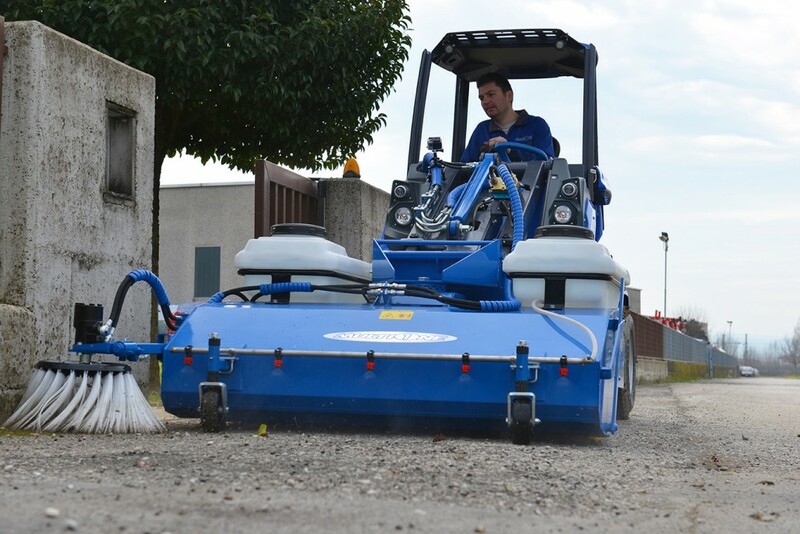 The sweeper attachment works both forwards and backwards, scraping dirt and debris off of any paved surface. 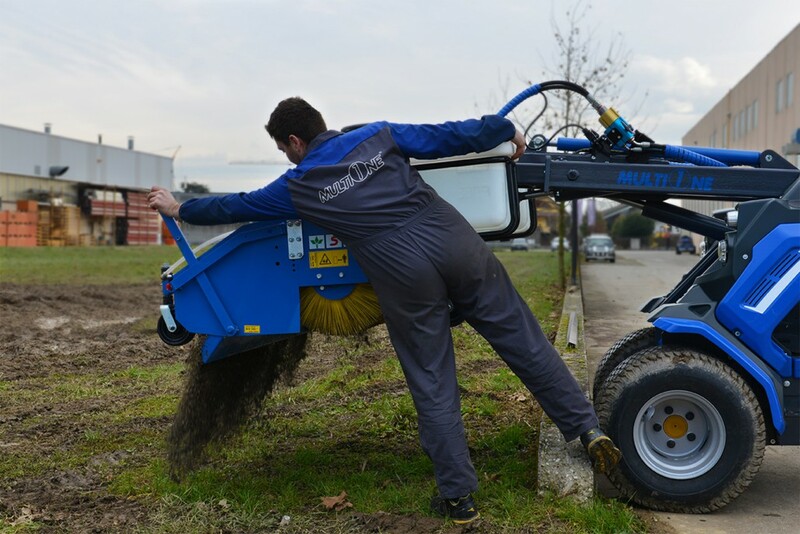 Floating attachment brackets and four support wheels keep the brush at the right height for optimum contact, while a manual angle adjuster keeps sweeping performance consistent each time the attachment is used. 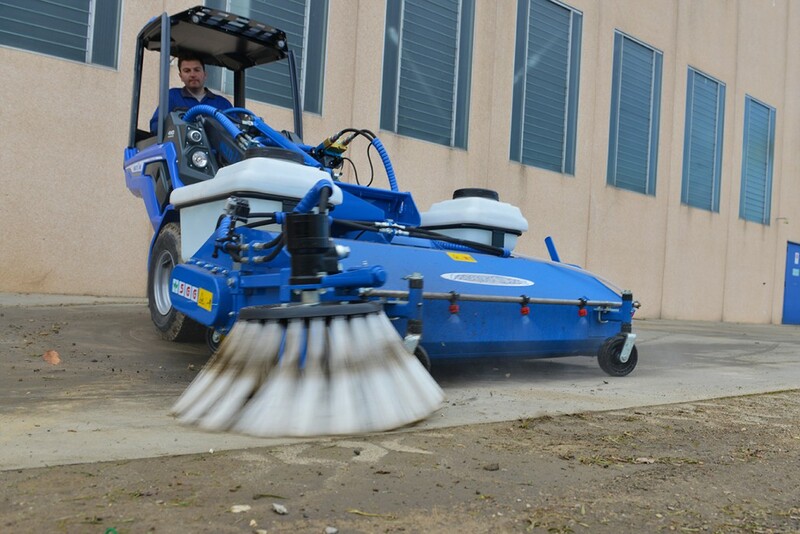 The sweeper can be outfitted with a humidification kit to reduce dust, a waste box to collect debris, and a side brush for reaching corners and curb sides. The box is designed to be dumped by lifting the boom of the mini loader for quick disposal. 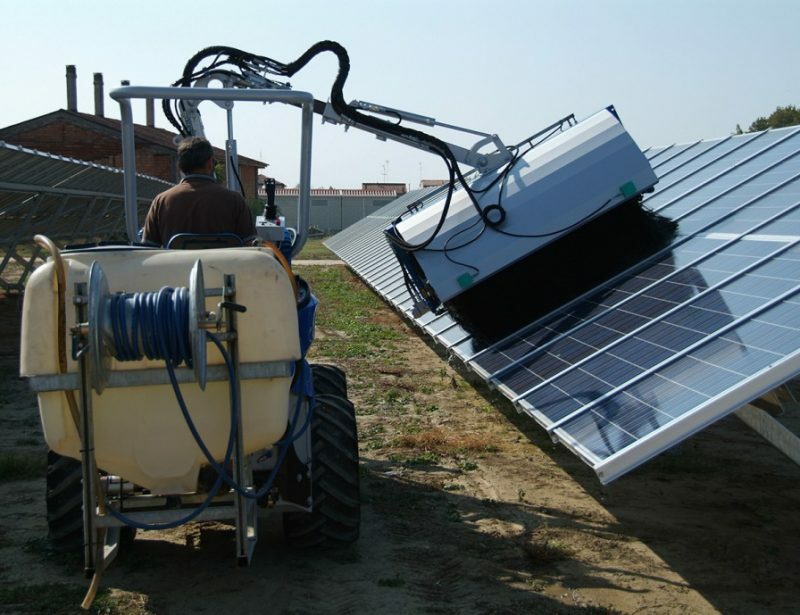 The sweeper attachment is available in three versions: the 100, 120, and 150. The 150 is 59 inches (150 cm) wide and weighs 381 lbs. (173 kg.) Like the 120, it’s compatible with all four wheel loaders, but a 5 Series or larger loader is recommended. The optional waste box for this model holds 5 cubic feet (140 liters) of material. The humidification kit is offered in two models. The one designed for the 100 and 120 carries 18.5 gallons (70 liters) of water, while the model designed for the 150 holds 37 gallons (140 liters.) The side brush add-on works with both the 120 and 150.